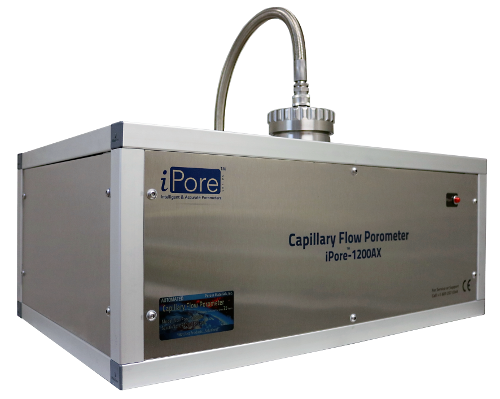 The iPore is an advanced capillary flow porometer series, which yield accurate and reproducible data. It requires minimal operator involvement with considerably small test durations. The iPore porometers are designed for linear turbulence free flow of test gas, the pressure is measured close to the sample, thereby minimizing the correction in differential pressure measurement. Six different models are available to suit varying pore size ranges and flow rates according to customer needs. Each model has an appropriate measuring system with pressure control, sensing, acquisition and data analysis software, sample holders, various unique upgrade options, accessory and consumable kits.